We meet every week to worship and praise the God who made us and who loves us. It's a time to meet with friends, take stock of our lives and build our relationship with Jesus Christ. ​Please join us, you will be made welcome. Every Sunday our main worship service begins at 10:45am. Sunday Youth Club. 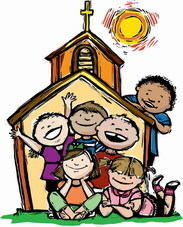 Children go out during the service at 11am to learn and play at the back of the church with Bible based activities, stories and other fun activities. There is a crèche for little ones during the service in the church lounge. A 9.30am Holy Communion service takes place every six weeks or so, check the notices for dates.We also have a monthly family and children's service at 9.30am -check the events page for forthcoming dates. first and third Thursday of each month. Occasionally this service includes Holy Communion. Take a look at our events page for special services.